Amor Designs have become a reference for the creation of tasteful and elegant wedding invitations since their inception in 2007. They have been delighting wedding invitees worldwide since then through intense creativity, innovation and respect for the requirements of their couples. Not only are their invitations a wonderful mixed media combination, but the scripting is accomplished through the use of exceptional calligraphy. 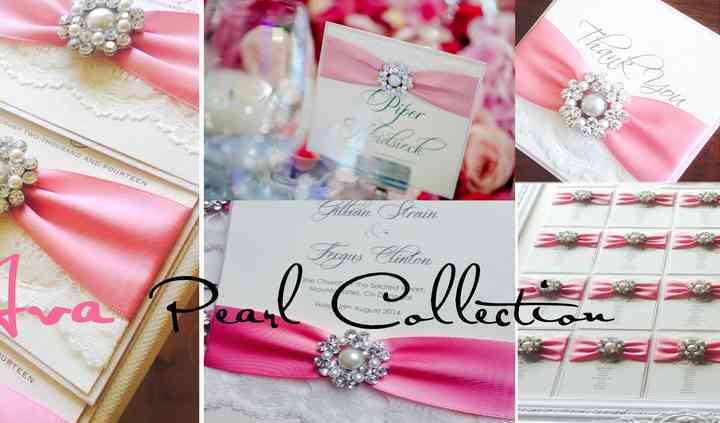 Amor Designs create handcrafted invitation using beautifully designed brooches, textiles and card. The range of styles is extensive but you are encouraged to challenge them with ideas of your own based on specific themes, be they traditional, contemporary and everything in between. Whatever you choose is bound to make the right impression. 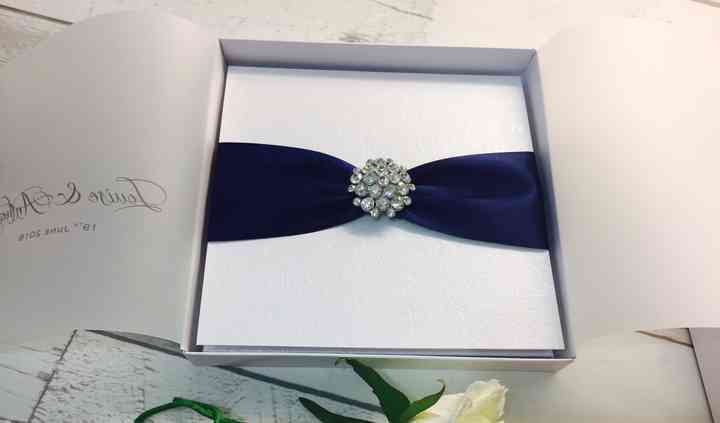 You can browse thought their incredible collection of styles including beautifully set pearl, crystal diamantes enveloped with silk, lace or other fabrics. 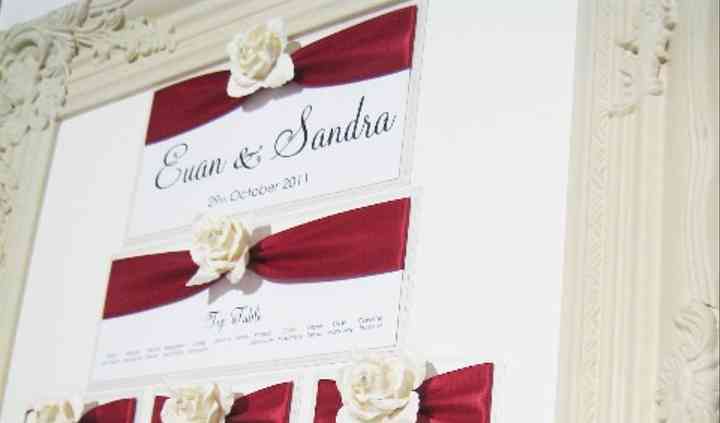 Their pocket fold, flat card and age-old opening invitations are very popular. If there is something specific that you have in mind, they would love to hear from you.